Lodge Brothers Top Hats – It’s Royal Ascot! 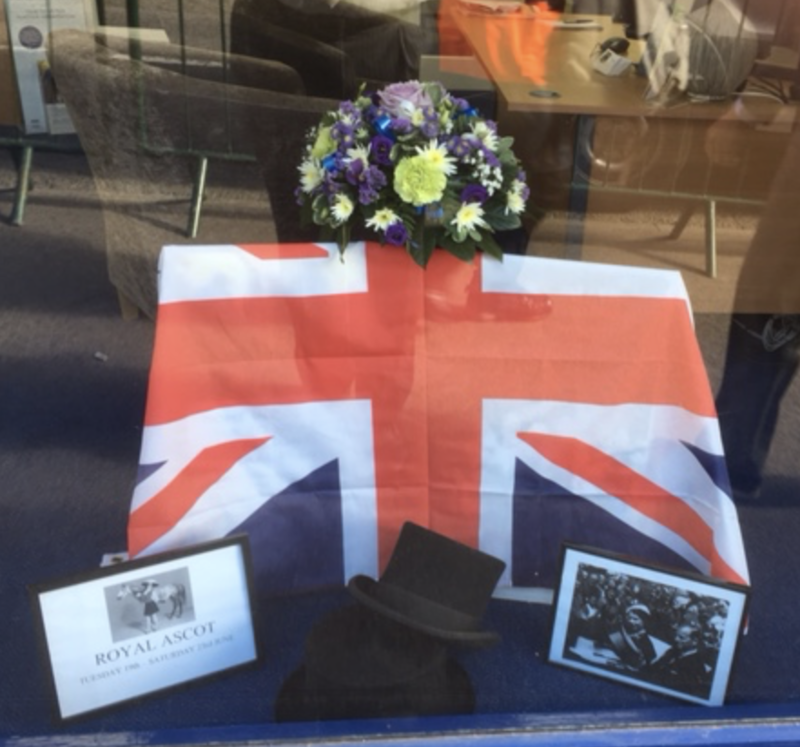 Always recognising what is going on in the community, Lodge Brothers in Ascot recently got in the spirit of Royal Ascot race week. Branch arranger Tom Hoyles even managed to contact the course to match up a floral tribute with this year’s colours. “We did have one or two comments from the locals respecting his efforts,” District Manager Richard Leachman said.